KARACHI: While there has been no official explanation yet on the source and true extent of a recent oil spill reportedly affecting coastal parts of Sindh and Balochistan, fishermen at Mubarak village — a coastal town worst hit by the disaster — desperately await damage-limitation and rehabilitation measures. 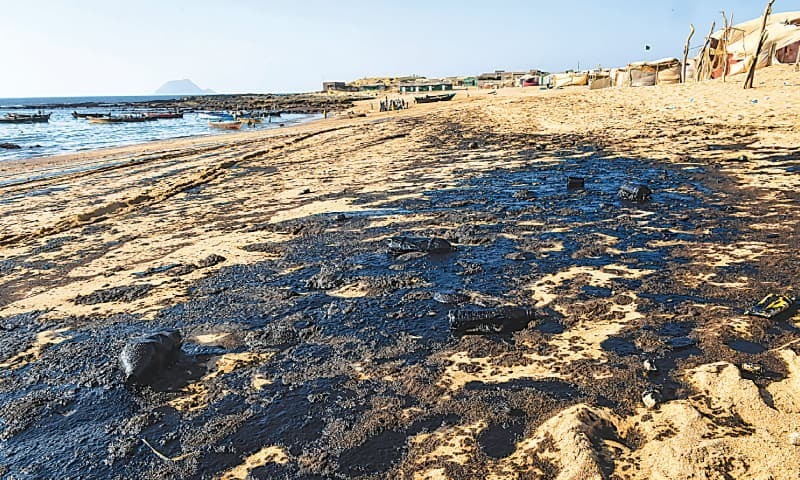 A visit to the village, located some 46km away from the main city at Sindh-Balochistan border and home to about 7,000 people, showed on Wednesday that the air was heavily polluted by hydrocarbon fumes and dark oily patches could be seen covering large parts of the beach. Ignorant of how this disaster might affect their health, villagers were found more concerned about their fishing activities — their only source of income. “It’s the only month when we get the largest catch. We have been ruined by the disaster, but no one has come to inquire about it. We think it might take a year or so for the whole area to rehabilitate,” said Sabir, a fisherman, voicing concerns of villagers, adding that fishermen in the open sea were returning empty handed. The villagers demanded that the government hold an independent inquiry into the incident as they didn’t trust the Balochistan Environmental Protection Agency officials and that the government provide them with alternative employment. “This village is deprived of piped water supply, electricity, gas, health and educational facilities for many years. Now, we have lost our livelihood; the disaster is not only killing fish, but also ruining our fishing nets,” another villager said, adding that someone must take responsibility for the incident. He also shared the concern that picnickers won’t visit this area for recreation this winter, contributing to fishermen’s financial woes. 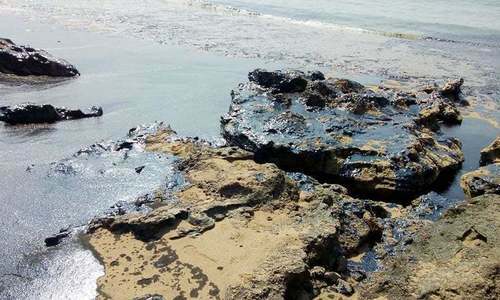 According to villagers, the oil spill was initially reported near Churna Island on Wednesday and reached the village the following day. A number of marine animals, including turtles, fish and crabs, they said, were found dead on the beach. Many of these animals, they said, were eaten up by stray dogs while they buried some of them. The oil stench was so intense on Thursday that they found breathing difficult. Damage to health due to inhalation of hydrocarbon fumes was well-documented, he said, calling for urgent action to protect the public health. Sharing similar concerns, Naeem Mughal, a senior official of the Sindh Environmental Protection Agency (Sepa), said that a Sepa team had visited the site and measures were being planned by the government to contain oil spill damage. “There is a need to fix responsibility because then the party concerned would be asked to support rehabilitation measures. It’s not a one-time damage. The whole marine ecology has been affected by this incident,” he said. Meanwhile, Pakistan Maritime Security Agency held a meeting on oil spill, which was attended by all relevant officials of government departments and private organisations. According to sources, the meeting remained inconclusive on the source of oil spill and it was suggested that all departments would pool resources to tackle the challenge. Dr Nuzhat Khan representing the National Institute of Oceanography said that data was being collected to determine the scale and damage caused by the oil spill. “We have taken samples of sediments, water and oil from various spots. It’s too early to say about the source of the oil spill. However, what I could say is that it’s emulsified oil,” she said. It seemed that there was a large oil patch which broke up due to wind and currents and affected various coastal parts. According to Dr Khan, the spilled oil has reached many locations including Cape Monze beach, Bhit Khori beach and Hawkesbay beach. Sunhera beach, however, was found clean during the visit. “Oil spills have the potential to contaminate sediment, seawater and air due to many volatile compounds emitted by the spilled oil into the air. 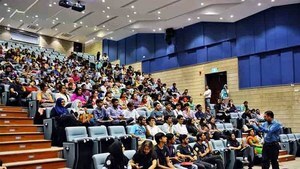 They have negative impacts on the residents of the affected areas and these effects can aggravate [due to] severe weather conditions,” she said. No official of the Balochistan Environmental Protection Agency was available for comments. 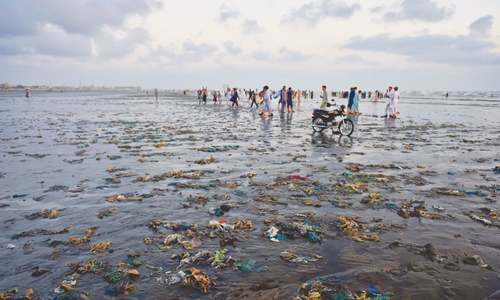 Expressing serious concern over the devastation caused by the oil spill, the Word Wide Fund for Nature-Pakistan issued a statement according to which “a major oil spill occurred along the coast of Karachi, spreading from Mubarak village to Manora. It also affected Sandspit beach. “The oil seems to have weathered and has converted into semi-solid tar indicating that it might have released a few days back. A WWF-P team visited Mubarak village and Sandspit and found dead animals, including a turtle covered with oil on the rocky shore. “The impact of the oil spill on other animals, birds and ecosystem has not been determined as yet but it is likely to have serious implications,” it says. According to Muhammad Moazzam Khan, technical adviser on marine fisheries at WWF-P, the oil spill can have a severe impact on the marine ecosystem of the area as it has affected the rocky beaches. “The incidence can lead to mortality of marine animals and plants inhabiting this important ecosystem. It can also have serious consequences for marine birds if they come in contact with this oil,” he said. The oil spill, according to him, has spread to Churna Island, which is one of the most sensitive habitats along Pakistan’s coast. This island is among a few areas where corals are found and is known to have diverse marine life. “It is possibly the most important diving and snorkelling site along Pakistan’s coast. Cleaning beaches affected by oil spill is extremely difficult as its physical removal or use of dispersant is not easy,” he noted.